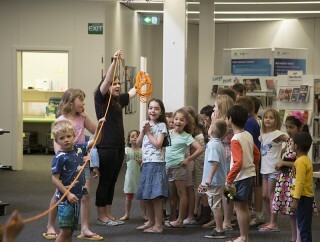 ICRAR’s Outreach and Education program connects with tens of thousands of people every year from all corners of the community, from school students and teachers to science researchers, and the local community to the media. The core purpose of ICRAR’s Outreach and Education program is to promote awareness and interest in science, computing and engineering, improving science literacy and participation in science-related fields. 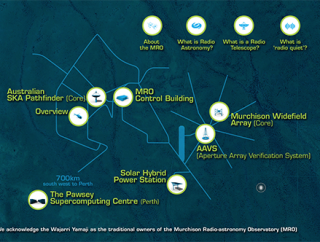 Beyond this, the program also aims to promote ICRAR, and our joint venture partners Curtin and UWA, to raise the profile of Australian radio astronomy and the SKA and to help attract and retain leading researchers. Our team of professional science communicators, with the help of our researchers and postgraduate students, deliver many outreach and education activities throughout the year, and across the country. ICRAR uses observing events, public lectures, seminars, school visits, eNewsletters and online resources to actively reach out to the students, teachers and general public of Western Australia and beyond. Since ICRAR’s launch in September 2009, more than 100,000 people have interacted directly with ICRAR outreach programs, with tens of thousands more engaging through the distribution of educational resources, media coverage of our research and our online presence. 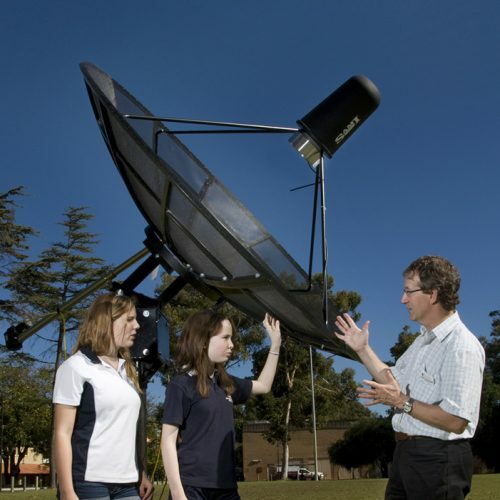 Any of our astronomy activities and education opportunities can be arranged by contacting the ICRAR Outreach and Education team through education@icrar.org. Access to the SPIRIT telescope. School group incursions and excursions. These can be organised by contacting us through education@icrar.org. Access to expert astronomers, engineers and computing specialists for talks, visits and to answer student questions through our ‘Ask an Astronomer‘ service. Work experience opportunities for students in years 10 and above. Watch an example of our outreach presentations with school students on campus. Professional development workshops and opportunities. Special events (Astrofest, exhibitions, lectures and open days). Educational resources (written, web-based and interactive). These can be accessed at our resources page. The annual Astrofest in Perth, Australia’s biggest astronomy festival. Hosting public lectures and events by notable scientists and astronauts. (See our upcoming events listing). Art exhibitions, such as Ilgarijiri. Summer Studentship program for Australian and New Zealand undergraduate students. Joint classes between both of ICRAR’s nodes at the honours level. 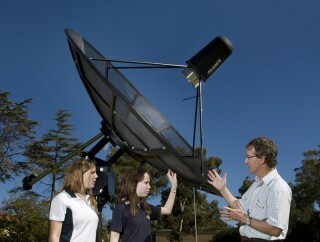 Specialised courses in high performance computing for astronomy. 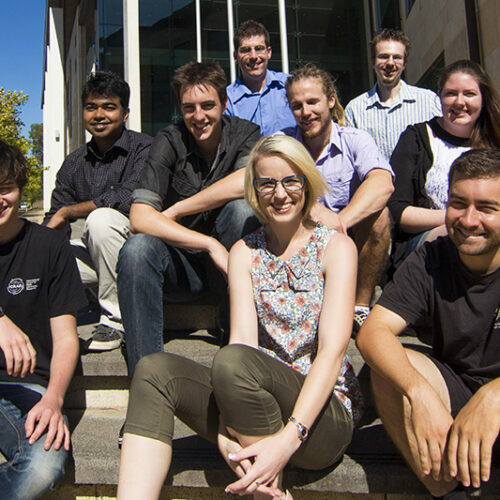 Pre-doctoral studentships for students interested in commencing a PhD with ICRAR. All the details of our tertiary education programs are available in our Undergraduate and Postgraduate sections. By contributing and collaborating with organisations and entities with common educational and outreach objectives, ICRAR supports existing projects and participates in new programs and initiatives that aim to bring about exciting opportunities throughout the educational community. To this end, and through relationships with Scitech, SPICE, the Astronomy WA initiative and the CSIRO’s Australia Telescope National Facility, ICRAR is continuing to develop strong relationships throughout the State, country and beyond.